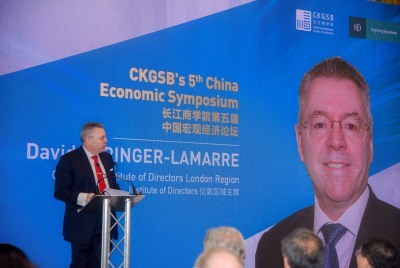 David Stringer-Lamarre, MD of FortisCL, within his role as Chairman of the Institute of Directors, London Region, was very pleased to deliver summary comments at this Cheung Kong Graduate School of Business event held in partnership with the Institute of Directors. The symposium brought together business leaders, academic and commentators from many sectors. It was a very good opportunity to discuss UK-China themes and explore opportunities in China/UK as well as third countries.